How to Turn Off “Hey Siri” on Your Apple Watch? 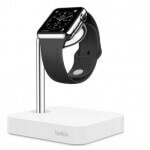 – Apple watches are one of the most recent inventions made by Apple, wherein every day new features are added on to, to make it more useful for the users. 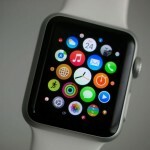 Lately Siri was included which has enabled this watch to perform tasks which other watches cannot. The apple watch is capable of functioning on Siri, and thus you can use it to make calls, check time, navigate and also to text your near and dear ones. One can access Siri, by simply holding and pressing the digital crown down unless Siri appears to ask what he can help you with. Same can be done, by turning watch towards your mouth and speaking “Hey Siri”. 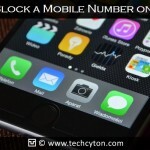 This method is a bit convenient one, but all the users would not like to opt for the same. The best thing about the watch is it has been made extraordinarily user-friendly, owing to which every user can use it their own way and make the most out of it. Having Siri on your wrist is undoubtedly an amazing feature but it can become really frustrating for users who don’t want to use Siri or is not willing to interact with it much. 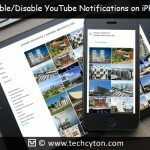 This is one of the reasons the turn off feature has been provided in the watch, with the help of which users can easily turn off Siri and thus continue using their watch their own way. 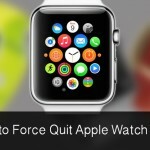 Check Out: How to Force Quit or Kill Apps on Your Apple Watch? With Siri opened on your watch, the only option which you will be asked to attend too is “Hey Siri”. However if you don’t wish to attend Siri, then simply tap off” Hey Siri” and it won’t come up to you to disturb you again. Thus, above mentioned steps can be comfortably followed by the users to turn off their Siri on the watch. However if you want to reinstate this feature, then simply turn on Hey Siri and it would be back on your watch to assist you for different things. So keep enjoying Siri on your apple watch at your own convenience and reinstate it as and when you want to use the same.